What’s summer without a frozen yogurt or large scoop of ice cream to wrap up a long hot summer day? Here are our favorite places in and around Concord. Thisbrfrozen yogurt shop is strategically located on Main Street in the center of allbrof the foot traffic and offers 12 different flavors. DIPS is abrgreat place to enjoy a bowl of frozen yogurt with a wide range on toppingbrchoices after a long day at work or while visiting the many shops along main street. Nicolas Harriman, a local Concord resident,brmentioned that he helped open a frozen yogurt shop in New Jersey which brinspired him to open one of his own in May of 2013 with the help of his brfather. 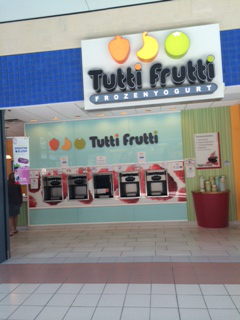 Tutti Frutti has been open in the Concord Steeplegate Mallbrfor just over a year. Located near The Bon-Ton, Tutti Frutti has many loyalbrand friendly customers who frequent the mall. This frozen yogurt shop features over 100 different flavorsbrand an endless amount of delicious toppings. The owner of this particular shopbrfell in love with the idea of Frozen yogurt and was inspired to open shop to serve thebrconcord area. Orange Leaf Frozen Yogurt is also located on Main Street inbrConcord and is very popular due to the fact that they rotate their flavors regularly making each visitbrexciting. As a self-serve frozen yogurt shop with endless toppings and a brvariety of flavors, it’s a great place to bring the family to build the brultimate combination. 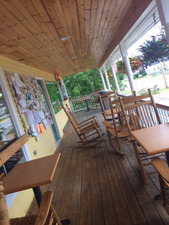 This ice cream shop has been open in the Loudon area for fourbrsummers and is conveniently connected to the Loudon Market. Fat Dan’s sells around 30 ice cream flavors, and 11 softbrserve flavors as well as flavor bursts. If you’re looking for a great place to hang out while you enjoy your ice cream then this is the place for you. Fat Dan’s is also known for hiring within the community. Allbrworkers here are friendly and are closely connected. 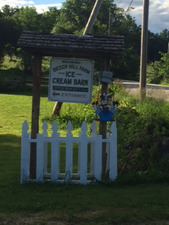 Not only is Beech Hill Farm a great destination for an afternoon of fun, but their ice cream barn features over 75 flavors! Great for a family outing and exciting for all ages, BeachbrHill Farm is a perfect place to stop by and grab some ice cream and see some animals. According to one of the employees, the owner has “always hadbra love for ice cream, and a passion for farming”, so why not combine the two? Johnson’s is a restaurant positioned on route 4 in Northwood,brNew Hampshire. Johnson’s may serve delicious seafood, but the ice cream is what they are best known for. A small ice cream is huge compared to many other ice creambrshops, and never fails to surprise new customers. With 35 ice cream flavors,brand a few frozen yogurt choices thrown in there, Johnson’s is a perfect placebrto enjoy an immense amount of ice cream after a summer filled day.